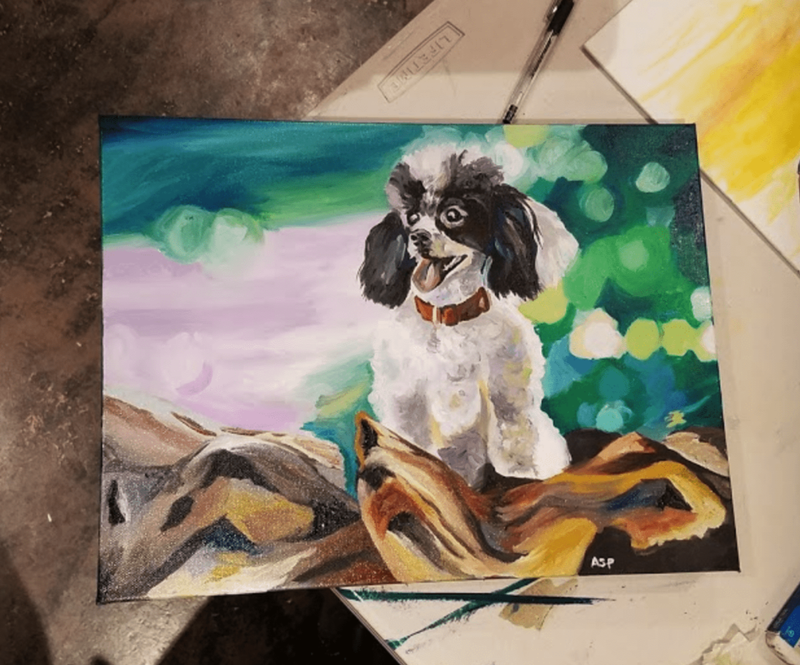 Whether you're trying to find the perfect gift for "the person who has everything" or want to turn your favorite pet photo into a one-of-a-kind painting, consider a commissioned piece. Q: What types of subjects do you paint? A: Animals (e.g. wildlife, pets) and natural settings are acceptable subjects. We do not paint human subjects. Contact me to discuss your painting, and I'll quote the project. Commissioned pieces start at $150 and go up from there based on size/complexity. Once you pay your 50% non-refundable deposit via Venmo, cash, or check, send your favorite high-resolution photo to abbyapittman@gmail.com for me to paint from. That's it! Custom paintings typically take 4-8 months to complete (depending on the paint type, drying time, and size/complexity). However, if you've got a hard deadline (e.g. birthday), I'll try to accommodate! Your invoice balance (plus shipping, if needed) is due upon receipt of your painting.